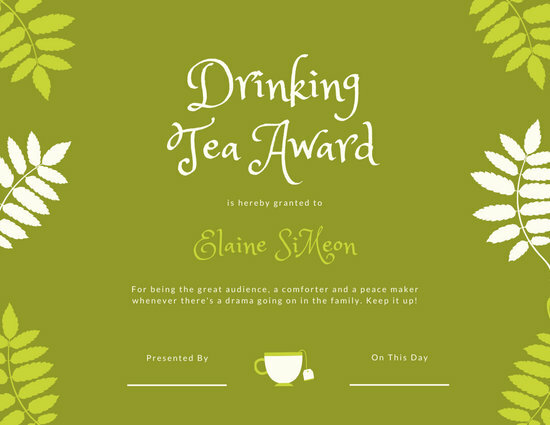 Life more fun when you celebrate the silliest things. 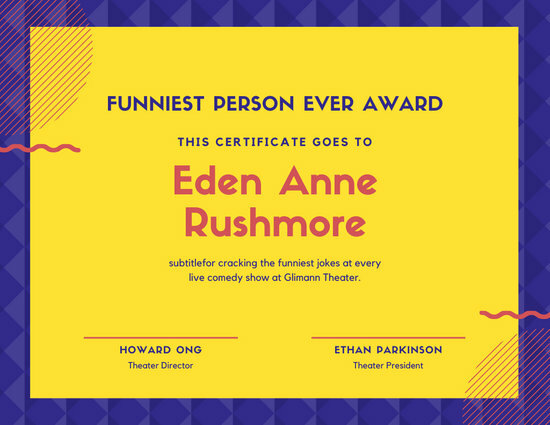 Award your friends with personalized funny certificates from our collection. 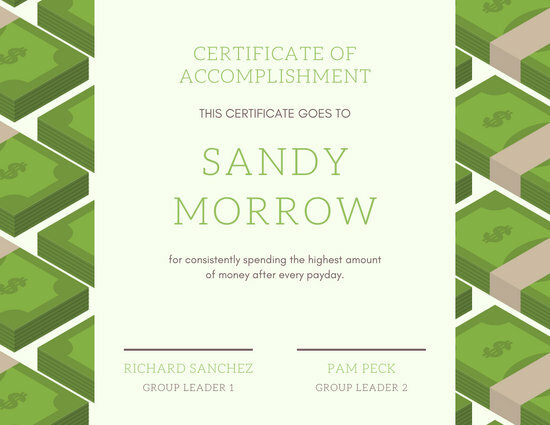 Certificates serve as a powerful tool to recognize an individual achievement as well as motivate and inspire others to do better. 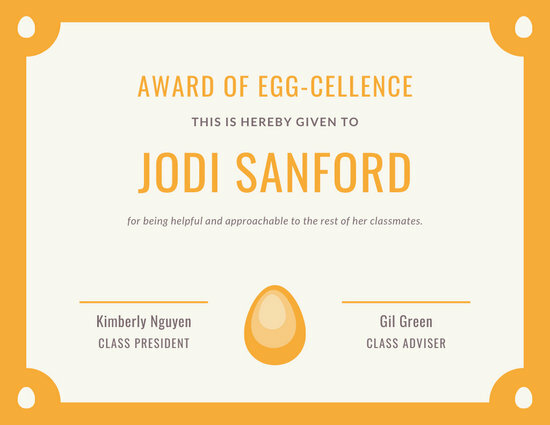 They can be used everywhere—from classroom awards to employee recognition. 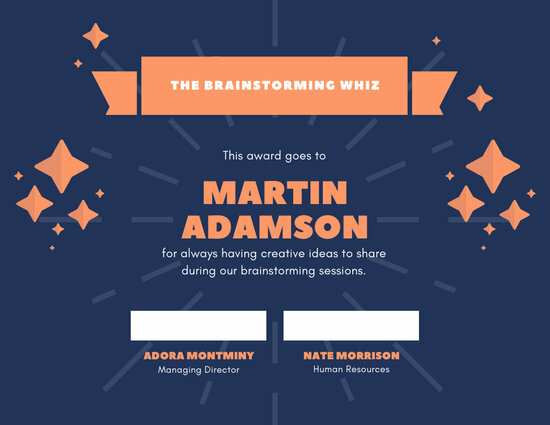 To liven things up during a presentation, why not give away some funny awards? 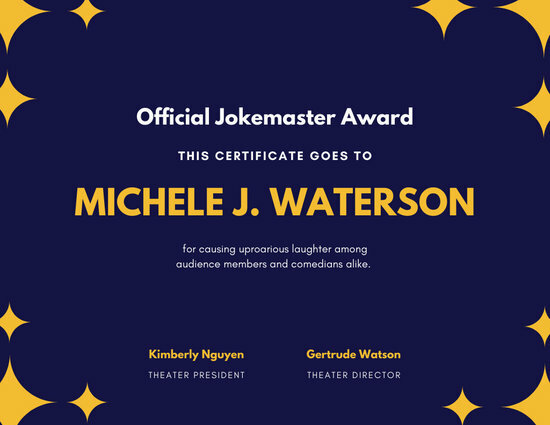 Funny certificates are a great way to break the ice during a formal event. 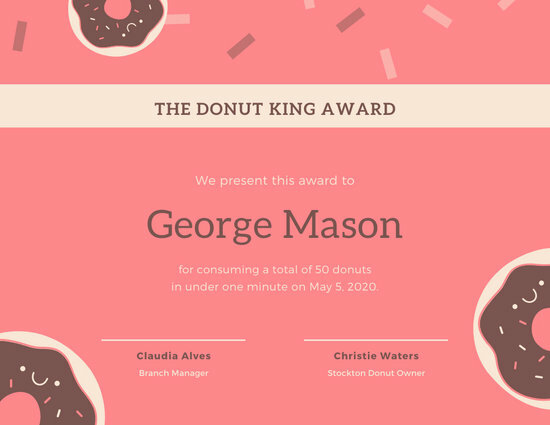 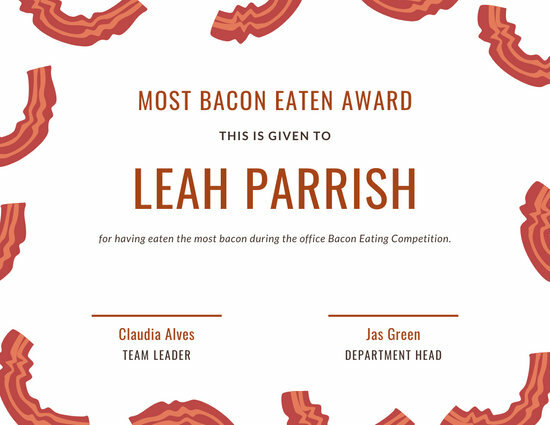 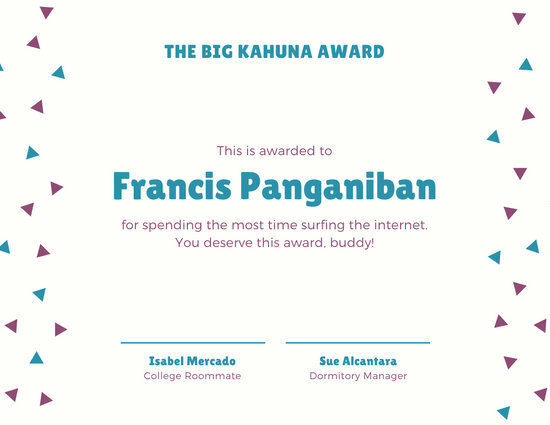 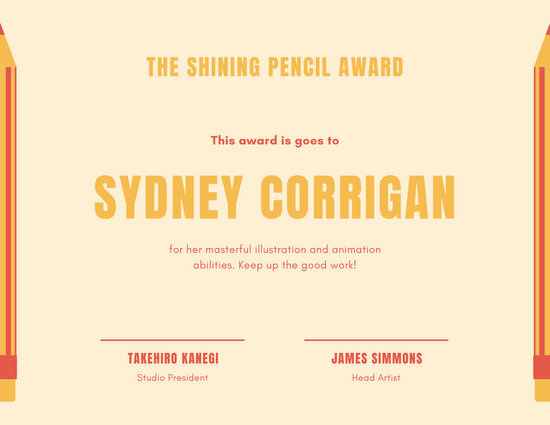 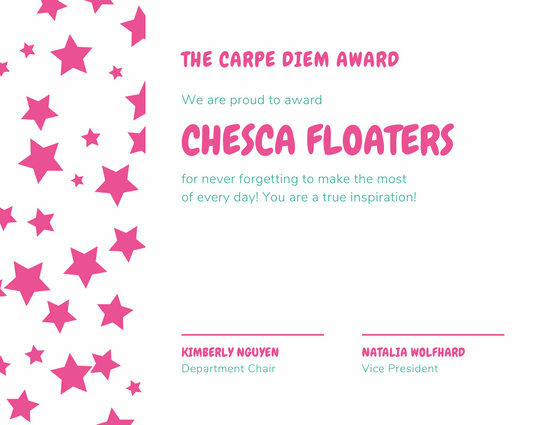 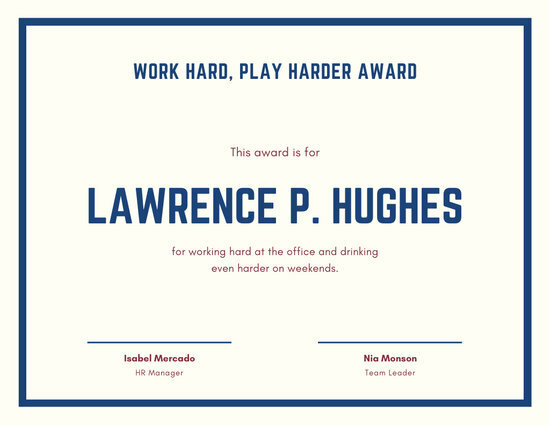 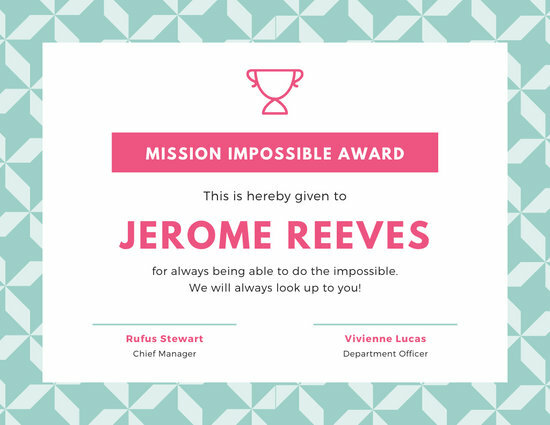 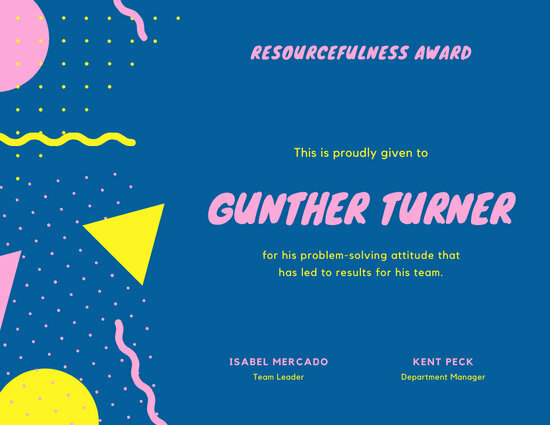 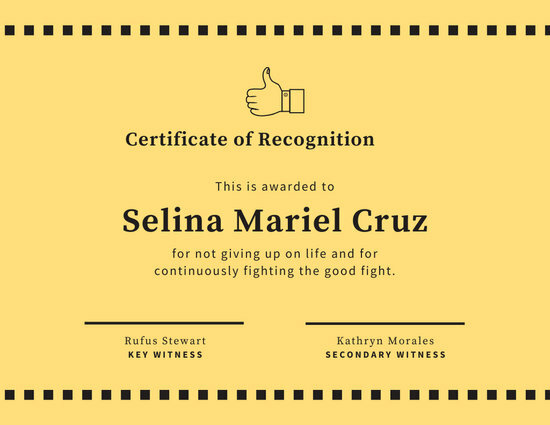 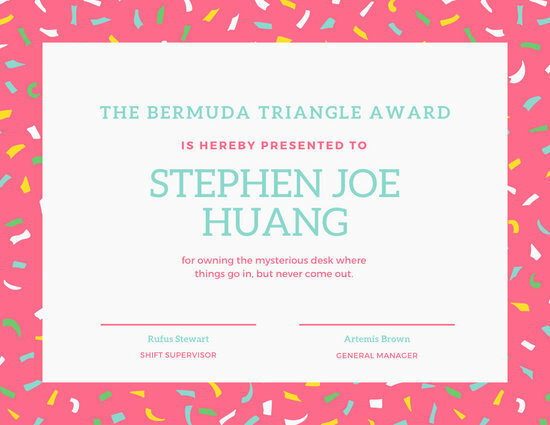 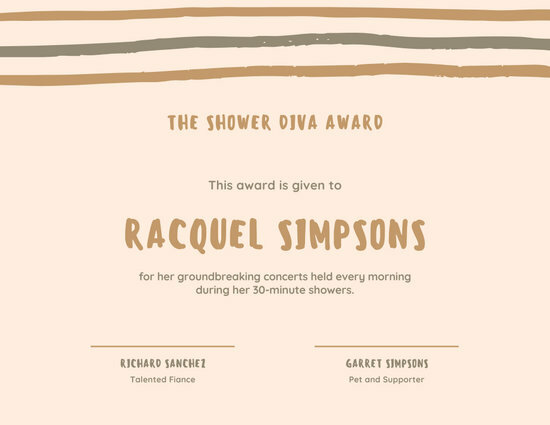 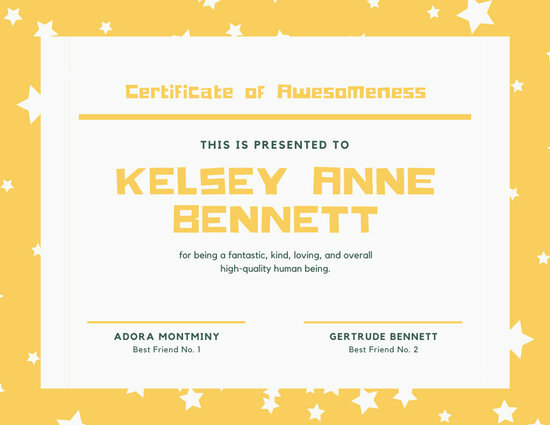 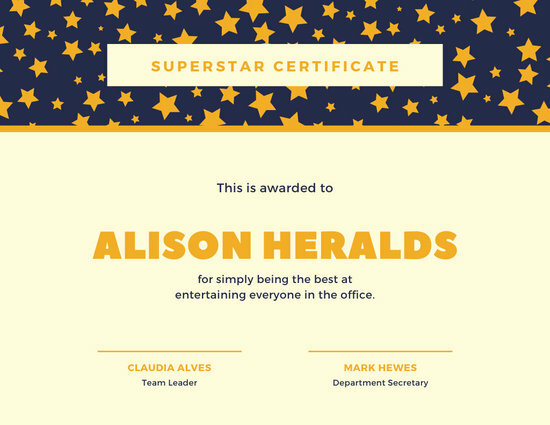 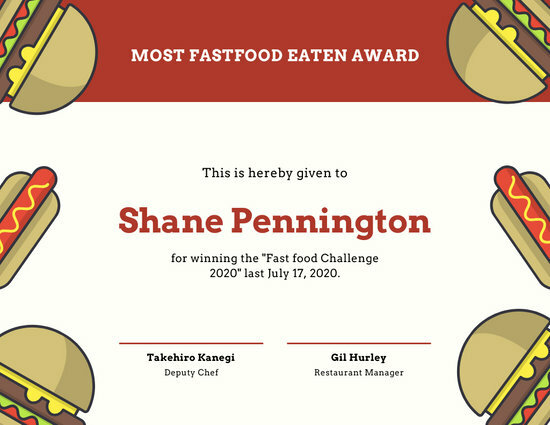 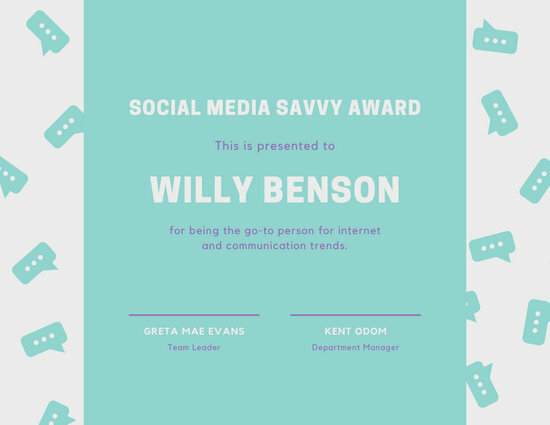 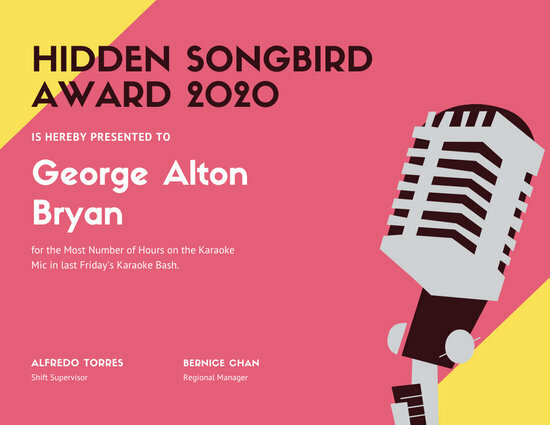 Using Canva's software design tool and a dash of creativity on your part, you can create your own funny award certificates in a snap, which will serve as a great keepsake of the event. 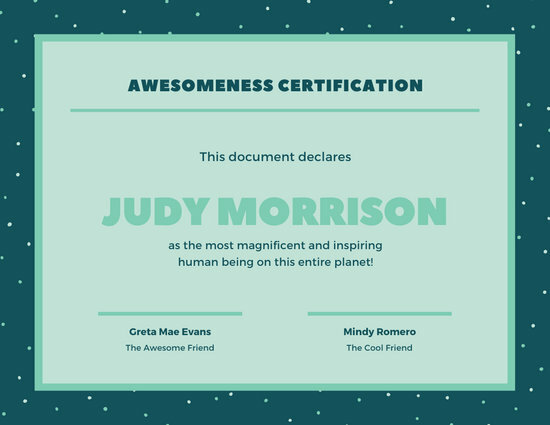 You can choose from the hundreds of readily-available certificate templates at Canva. 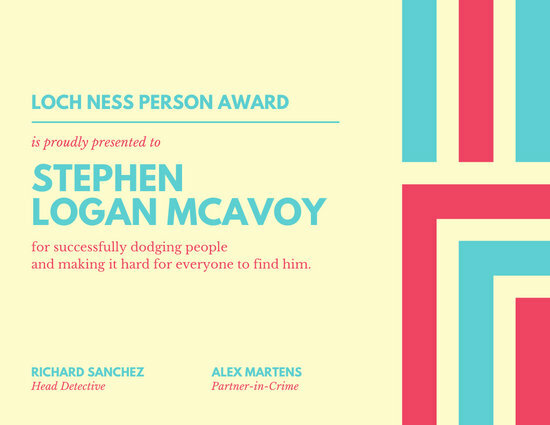 Have fun thinking up of clever awards for the ceremony. 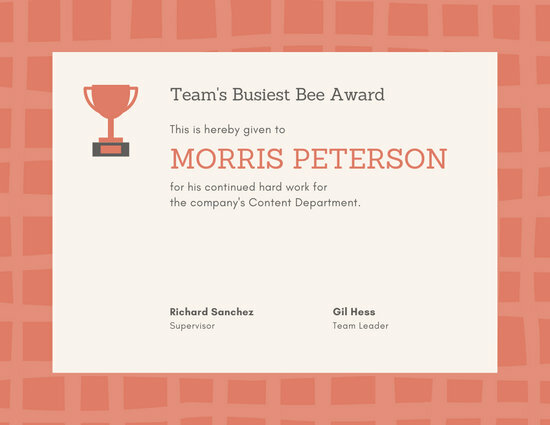 For example, you can give the "Busy Bee Award" to the person who is always busy, or give the "Pen Stealer Award" to that officemate who is always walking off with other people’s pens. 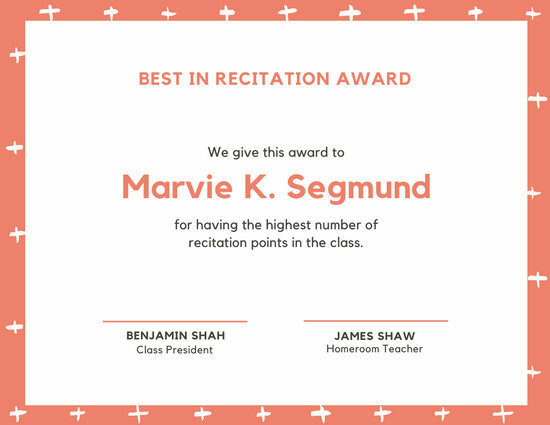 Simply edit an existing template, add the award, the person’s name, date, and name of the event. 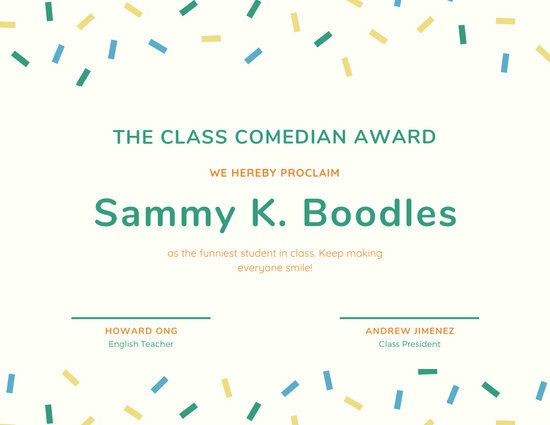 To make the funny certificate even more special, you can personalize the color, font, and background using Canva's easy-to-navigate editor. 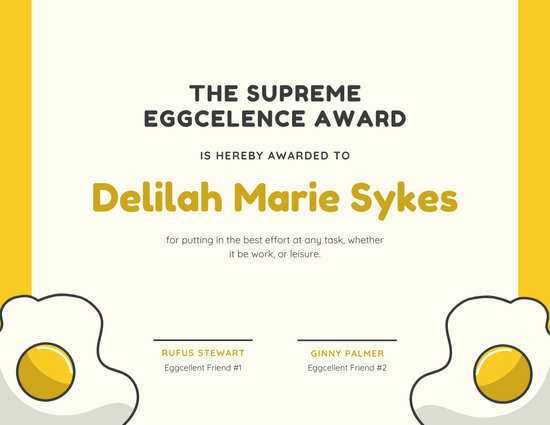 You can choose from our massive library of high-quality images and illustrations to make your certificate design stand out. 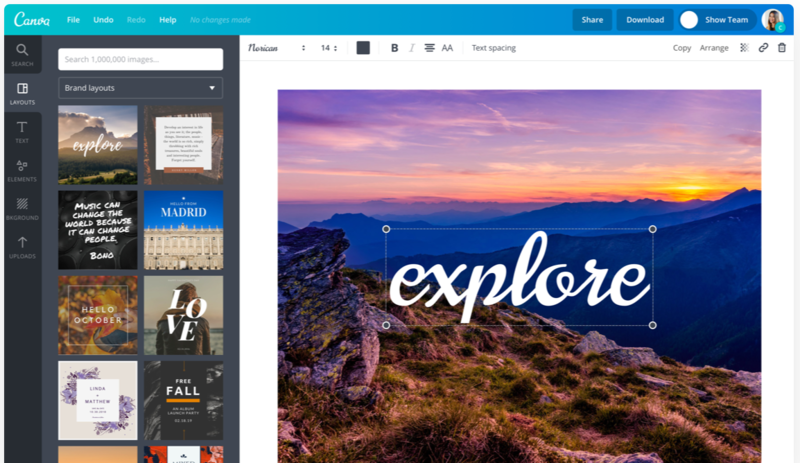 You also have the option of uploading your own logo and company colors to stay on brand. 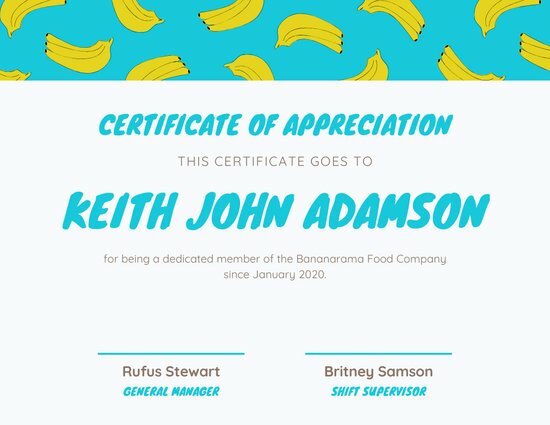 Once done, you can get your brand new certificate designs printed and sent right to your doorstep. 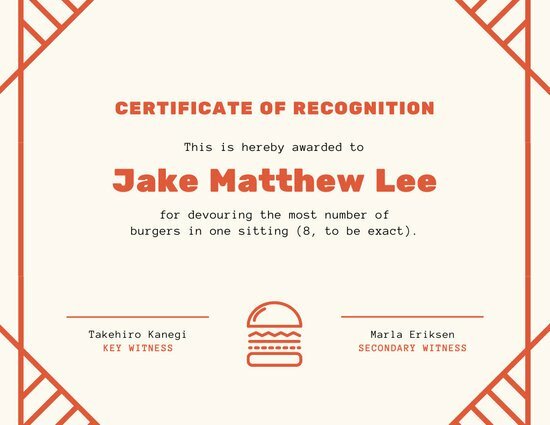 Just click on the Send to print button, fill out your order and you're good to go. 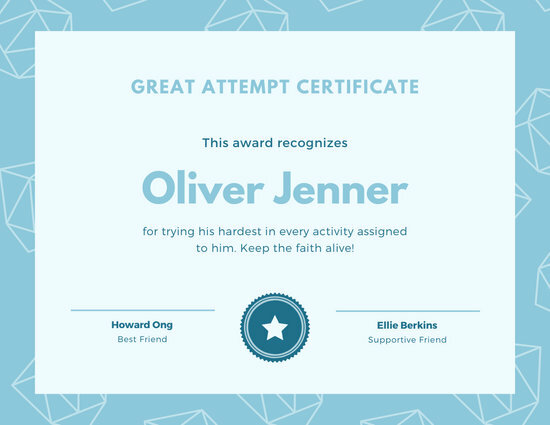 Creating certificates for special events has never been easier, thanks to Canva.